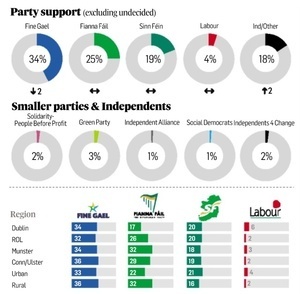 The last few political opinion polls from the Sunday Business Post, the Irish Times, The Irish Daily Mail and the Sunday Times have all painted a similar picture of the current state of play among the main political groupings. While they may quibble over the hard numbers, they agree on the relative positions. They show Fine Gael in prime position, enjoying a comfortable lead of 6% or more over Fianna Fáil who, in turn, enjoys a similar, if slightly wider, lead over Sinn Féin. Without doubt it is good personal news for Varadkar, and happy news for a party that only twelve months ago was still coming to terms with the 2016 fall in its fortunes. What a difference a year can make? An important lesson for any political leader in these still uncertain times. But, before the government friendly pundits crack open the Champagne and start the celebrations for the next Fine Gael election victory, let us take a few moments to consider why it is still far too early for Leo, Paschal or Regina to count their chickens. The first point I would make, is not a new one. I have said here many times before that newspapers and media outlets do not conduct their political polls in the way that political parties conduct theirs. The main political parties do not test their own levels of support with mass quantitative polls, but rather with a series of constituency polls. These offer a more accurate picture of the real levels of voter intention. They are their holy grails and are guarded almost as jealously and religiously as the fictitious Brothers of the Cruciform Sword tried to guard theirs. Only a few people at the top know the numbers and they don’t share them with anyone, especially not the candidates concerned. So these numbers do not leak out, but even a simple exercise based on data already in the public domain demonstrates that even the best Fine Gael poll numbers in the capital city might not convert into much. According to the latest Irish Times MRBI-Ipsos poll from January 25th, the level of Fine Gael support in Dublin has grown to twice that of Fianna Fáil: 34% versus 17%. In 2016 Fine Gael won 14 seats compared to Fianna Fáil’s 6 – and Sinn Fein’s 7. This included one Fine Gael seat that was uncontested, due to the automatic return of the Ceann Comhairle, giving Fine Gael three out of four in Dún Laoghaire. So, even before the first election poster is hung, Fine Gael is set to lose at least one seat in Dublin. Another one, in Dublin North West, is knife-edge with Fianna Fáil’s Paul McAuliffe now having an advantage thanks to boundary changes and Fine Gael unlikely to benefit so much from Labour transfers next time. So, where are Fine Gael’s possible gains in Dublin? Dublin Fingal and Dublin Bay North are contenders, but neither are certain. The Taoiseach will be under big pressure to pull in a running mate in Dublin West, but that will be a tall order. Dublin South West is also an FG target, but the person they hope to unseat is fellow Cabinet Minister Katherine Zappone, which is an as you were for the government. On the Fianna Fáil side, the prospects for gains look far better. It has more pathways to closing the gap with Fine Gael, due mainly to its low 2016 base. For Fianna Fail, 17% across the Capital is an improvement on the 14% it got back in 2016. That 17% is a city wide average, and varies considerably area to area. Even a marginal vote rise would see it win a seat in Dun Laoghaire, with either former TD and Minister, Mary Hanafin or young local Cllr and former Mayor, Cormac Devlin. It puts Cllr Paul McAuliffe, already mentioned, strongly in contention in Dublin North West to unseat a Fine Gael TD, while assuring Senator Catherine Ardagh of a seat in Dublin South Central where she narrowly missed out by just 35 votes last time. Though Fine Gael will be eyeing up Dublin Fingal for a potential second seat, so too will Fianna Fáil who were 3.5% ahead of them there in 2016. Meanwhile, an increase in voter share and favourable boundary changes puts Mary Fitzpatrick in contention in Dublin Central. The point here is that the figures in a national poll can vary hugely in constituency polls when you bring local factors and individual candidate’s support into play. Extra votes in some Dublin constituencies will drive up Fine Gael’s national share but will not put another bum on a Dáil seat – and that is what counts on the day after polling. But there is a second, more telling point. It is unwise to try to forecast a result from a period when one party is on maneuvers and the other one is on a sabbatical. Where Fine Gael used the slow news period from New year to mid-January to get its message out and have its key players making all manner of policy pronouncements, Fianna Fáil has been doing its trappiest monk routine: practising taciturn reserve. It has been schtum. 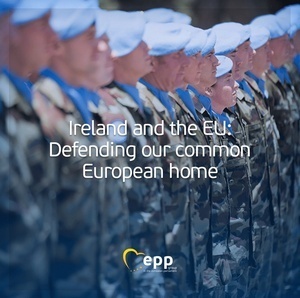 Apart from Micheál Martin’s own speech on Repeal the Eighth two weeks’ back, can you recall any major policy statement from them in recent weeks, if not months? Even allowing for the efforts of their €5million Strategic Good News Unit, Fine Gael has had the field to itself for most of the time since Frances Fitzgerald saga. Is this because Fianna Fáil has decided that this strategically suits its purposes, or is it just laziness? 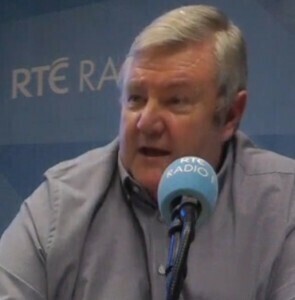 It could be that that Fianna Fáil strategists are operating a form of reverse political rope-a-dope, refusing to expend its limited resources in sham battles with Fine Gael now, when it feels that the election is still a while away and the battle lines have yet to be formally drawn? It could also be that Fianna Fáil simply decided to collectively take a month off and recharge its batteries – or, perhaps it a little of both. Either way, though Leo and his team would like the impression to go abroad that his path to victory is strewn with rose petals and the bodies of his political foes, there are way too many imponderables yet for anyone to make any serious predictions. He could well be right. He could be on course for a famous third win in a row for Fine Gael that will propel his personal political career on to new international heights in the EU, WTO or wherever, or he could end up being, as I have argued here in the past, Ireland’s Gordon Brown, looking back at this period of time and thinking, why didn’t I just call the election then. Posted in Misc and tagged Derek Mooney, Mooney on Tuesday at 12:18 pm on January 30, 2018 by Derek Mooney. “Extra votes in some Dublin constituencies will drive up Fine Gael’s national share but will not put another bum on a Dáil seat – and that is what counts on the day after polling.” – Agreed. How to solve this? 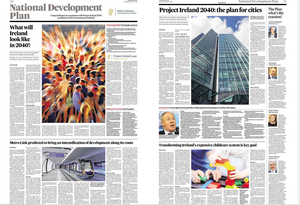 FG definitely appeal to people who work, so Dublin is booming and logically they will do well. Increase social welfare maybe? I also would like to see a detailed regional split for independents/others. The rise of the independents is worrying for effective government, else we will always be subjected to the Mattie mcGraths and Ross’s of this world, i.e. dreadful politicians. Why don’t pollsters poll in the same way as the parties? Pollsters are doing it to sell newspapers – so want the most accurate picture at the minimum cost. The parties are doing it to win seats – if they get it wrong the lose a seat. It is in their interests to get it right (and either cut their losses if a seat in unwinnable – or at least to focus on the winnable ones). Oh. and we don’t know if the parties are any better at doing this – because they never publish their results “Only a few people at the top know the numbers and they don’t share them with anyone, especially not the candidates concerned.” so they may be rubbish. Who are the bright new faces that Fianna Fáil will be putting before Dublin’s electorate? It’s amazing how many FF politicians never advertise the fact that they are in FF. Not even a splash of green on the website. That’s gas – not even in the ‘About’ page or anything. Don’t think she is FF anymore, but still. how could anyone living in the country over the last 19 years STILL vote FF or FG ?? it has to be down to just straight up not knowing what they did. just blind ignorance. The dearth of attractive competition would have a great deal to do with it, I imagine. Labour are being hammered thanks to smaller coalition party syndrome. The Greens, always slightly on the fringes, are still recovering from it seven years on. A large proportion of the population will not vote for Sinn Féin under any circumstances due to past associations with a terrorist organisation. The Social Democrats were stillborn as a party, despite a couple of good figures being on board. That leaves a collection of fairly far left and independent candidates. You might well think that anyone who has lived through the last 19 years would be ignorant not to vote for a left-wing party. The reality of course is that it has only ever been the political belief of a small minority, vanishingly so in rural areas, and people were never going to convert in numbers. The balance of the candidates are mé féin independents, and too many people vote for them as it is. For the foreseeable future, people will always vote for FF and FG in large numbers. Whether they are holding their noses and grimacing while they do so may be a different matter.